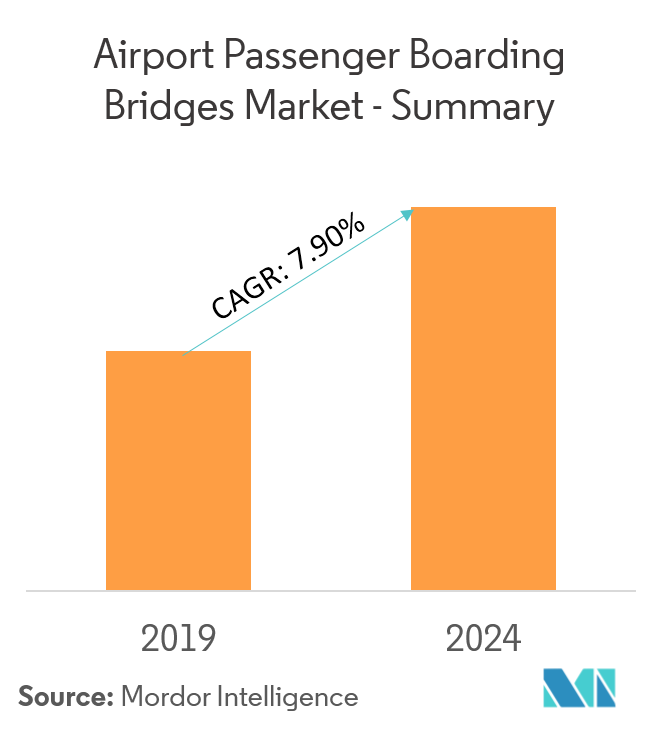 The Airport Passenger Boarding Bridges Market is segmented by Type (Movable Passenger Boarding Bridge, Fixed Passenger Boarding Bridge), Technology (Electro-mechanical, Hydraulic), Product (Apron Drive Bridge, Dual Boarding Bridge System, Commuter Bridge, Over-the-wing Bridge, Nose-loader Bridge, T-bridge), Structure (Steel-walled, Glass-walled), and Geography. 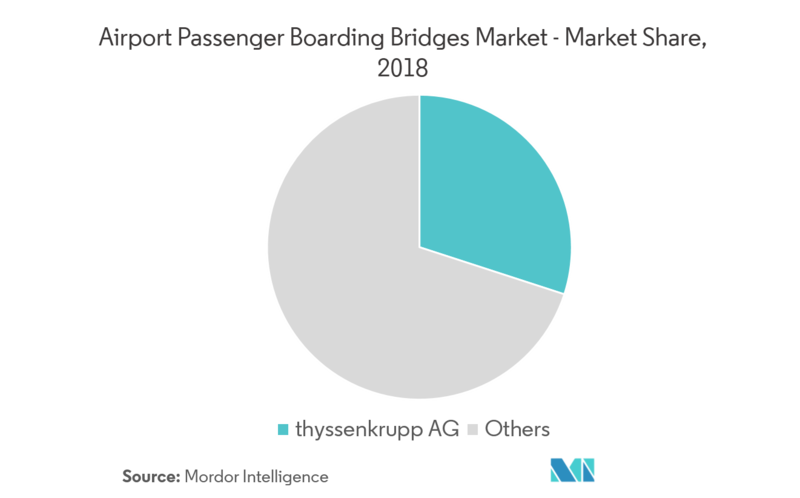 The airport passenger boarding bridges market is anticipated to register a CAGR of 7.90% during the forecast period, 2019 - 2024. The significant growth in air passenger traffic in the past decade has forced several countries to build new airports to increase their passenger handling capacities. The investments in airport infrastructure are helping the growth of the airport passenger boarding bridges market. Safety on the ground is important for every airport and airline, but challenges lie in the confined gate and apron area. Accidents caused by passenger boarding bridges are urging the airlines to invest in other means to transport passengers to the aircraft. Asia’s rapid growth in the commercial aviation sector has positioned the region as the largest and fastest growing in the world. The investments in airport infrastructure are increasing in the region, providing huge opportunities for the growth of the market in the years to come. Airport passenger boarding bridge is also known as air bridge, jet bridge, jet way, and sky bridge. Airport passenger boarding bridges are categorized based on type, technology, product, and structure. To enhance passengers' experience, and as a result of the good insulating properties of glass, many modernization programs in airports are underway, and as a part of this, airports authorities are looking to replace old steel passenger boarding systems with glass-walled varieties. This is a key reason for the increasing procurement of glass-walled passenger boarding bridges. This segment currently has a high market share, and the growth of the segment is expected to be high during the forecast period. As of 2018, the North American region has the highest market share out of all the regions, due to a large number of airports in the country. But the European region is expected to register a high growth rate during the forecast period. Due to the increasing number of tourists in the region, the countries in the region are investing highly in airport infrastructure, thereby, driving the growth of revenues from the region. The countries in Europe and the Middle East represent almost 50% of the global future airport infrastructure improvement and development programs, both in value and in the count, and offer many growth opportunities for the players in the market. 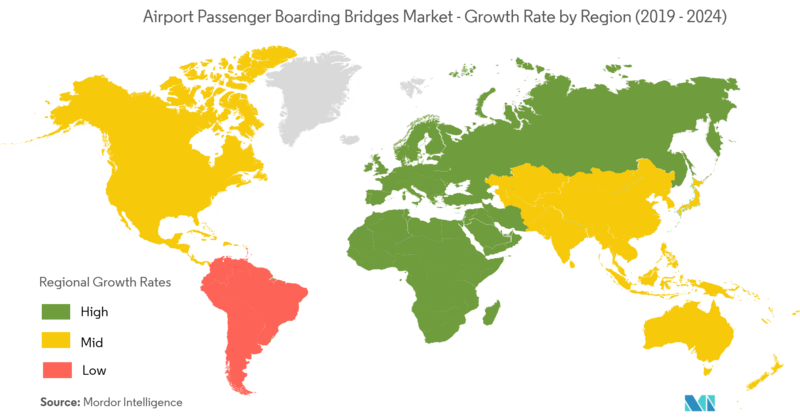 Passenger boarding bridge manufacturers are currently looking at these regions for new customers. 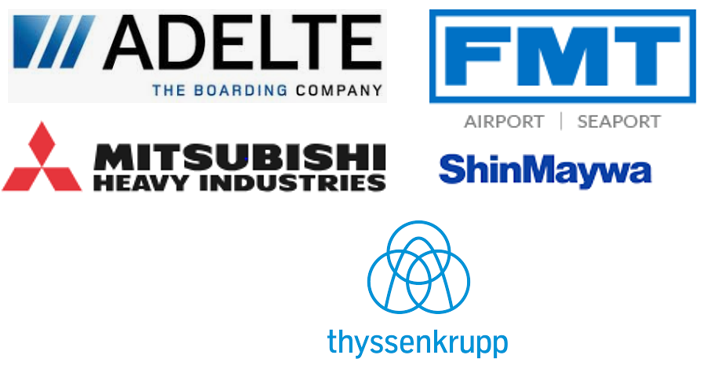 Strategic acquisitions and partnerships, along with the establishment of manufacturing and production facilities locally, can be helpful for players to establish a foothold in the local and regional markets. 6.4.5 John Bean Technologies Corp.